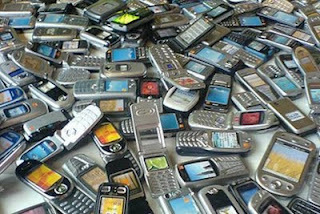 Mobile marketing analysts are reeling today after news emerged that there may soon be a new number one phone operator. On Tuesday, September 8th 2009, France Telecom and Deutsche Telekom jointly announced plans to merge their respective brands, Orange and T-Mobile. The proposed 50:50 partnership between Britain's third and fourth largest phone operators would create a new number one with a combined total of 28.4 million mobile customers – a 37 per cent market share. The current domestic market leader is O2, followed closely by Vodafone. This deal may well spell the end of the line for at least one established brand. Although Orange and T-Mobile will continue to operate as normal for 18 months after the transaction is completed, management will use the time to formally consider branding alternatives for the new joint venture. As many mobile marketers will no doubt be aware, speculation has been rife that T-Mobile UK was in trouble. It is after all the smallest of the big four players. But rumoured takeovers have consistently failed to materialise, so it comes as something of a surprise to learn it is now an equal partner in a proposed merger. T-Mobile currently has 12 million UK customers but it is perhaps best known among advertisers for a 3G network with speeds of up to 4.5 Mbps. Orange, meanwhile, brings to the table a significantly larger mobile customer base of 15.9 million. It also owns the UK's largest exclusive digital advertising network Unanimis, which enjoys online partnerships with high-profile clients such as Ticketmaster, the AA, Gumtree and Shopping.com. When confirming details of last month's buyout, France Telecom claimed the combined mobile and internet assets of Orange and Unanimis would enable advertisers to reach 71.5 per cent of the UK's online population. Paul Francois Fournier, executive vice president of Orange Advertising, said at the time: "Unanimis brings with it knowledge and expertise in performance-related advertising, one of the fastest growing segments of the market. "Through their established network, we will also be able to maximise our own assets and, importantly, offer advertisers new ways to reach audiences through our web and mobile portals." As is commonplace in corporate mergers, the deal may not be completed for some time. Management at Deutsche Telekom and France Telecom are expected to sign off next month but the joint venture will then be subject to regulatory approval. However, reports of a new market leader are already sending shockwaves around the industry as advertisers try coming to terms with the dramatic implications for mobile marketing.